If you're an avid gardener, you would probably love to have a place to store all your tools and gardening supplies so you can easily find them when you need them. And perhaps this garden shed should include some much needed workspace too, so you can plant seeds, transplant container plants and more as you tend your garden. A practical, yet beautiful addition to any backyard or garden, our garden sheds offer aesthetic style, durable construction and ample workspace for avid gardeners and landscapers. They're the perfect choice for a peaceful and tranquil place to work on your garden, tinker on your potting bench and just commune with nature in general. 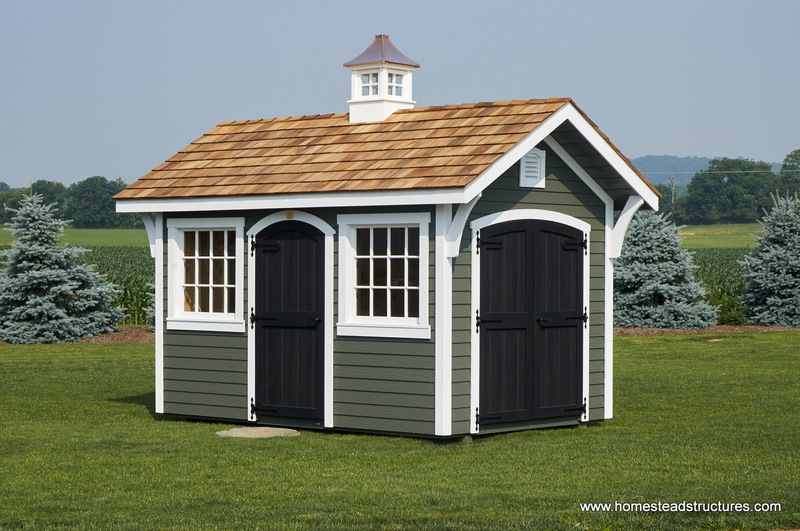 We offer a variety of garden shed styles, including the traditional a-frame or hip roof styles. 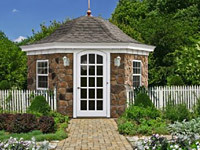 Or, if you're looking for something distinctive or unique, one of our Garden Belles or Zenith Garden Towers (as featured on This Old House!) may give you the flair you're looking for in your garden or potting shed. If you'd like more of a greenhouse shed, with floor to ceiling windows and tons of light, Homestead has you covered. 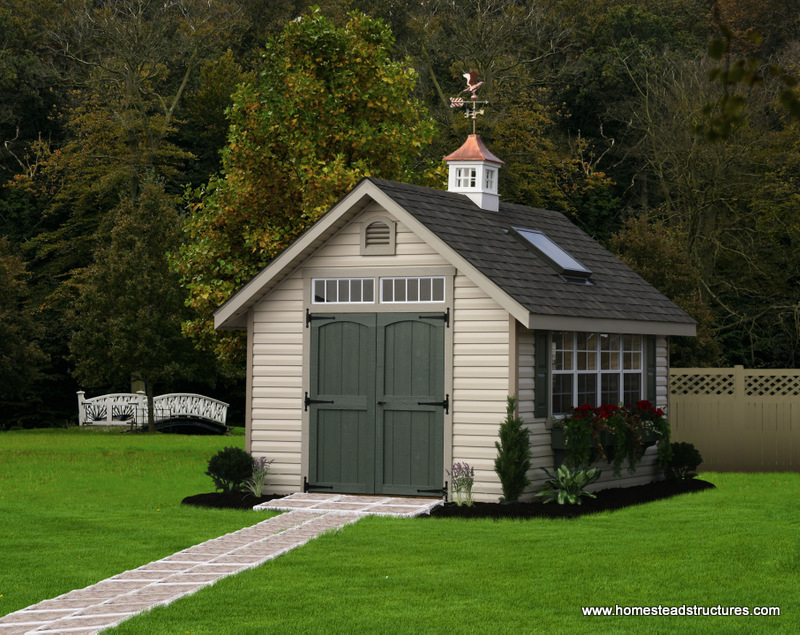 And for those looking for something completely their own, Homestead can custom design you a garden shed, providing a 3D shed rendering of the design so you can see just how your new shed will look. You'll talk with our product design specialist to decide on dimensions, materials, and options, including siding, roofline, windows, doors, paint colors, loft or potting bench packages and more. 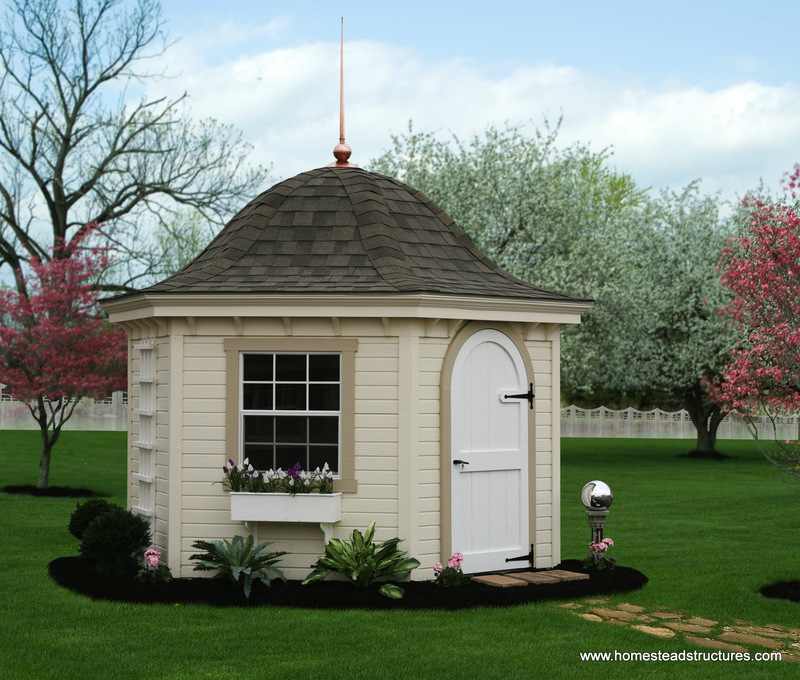 You can browse some of our garden shed designs in our Photo Gallery, or if you're ready to speak with someone to start your design and get pricing, fill out the form here or call us at 877-272-7252! Practical, functional, durable and beautiful our traditional A Frame sheds offer a wide range of features for avid gardeners and can be customized for your unique needs. 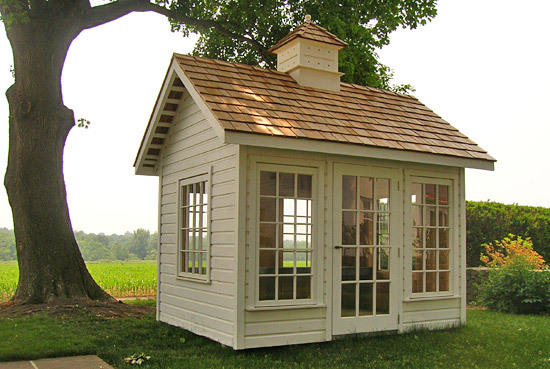 Looking for a unique garden shed that will make you the talk of the neighborhood? 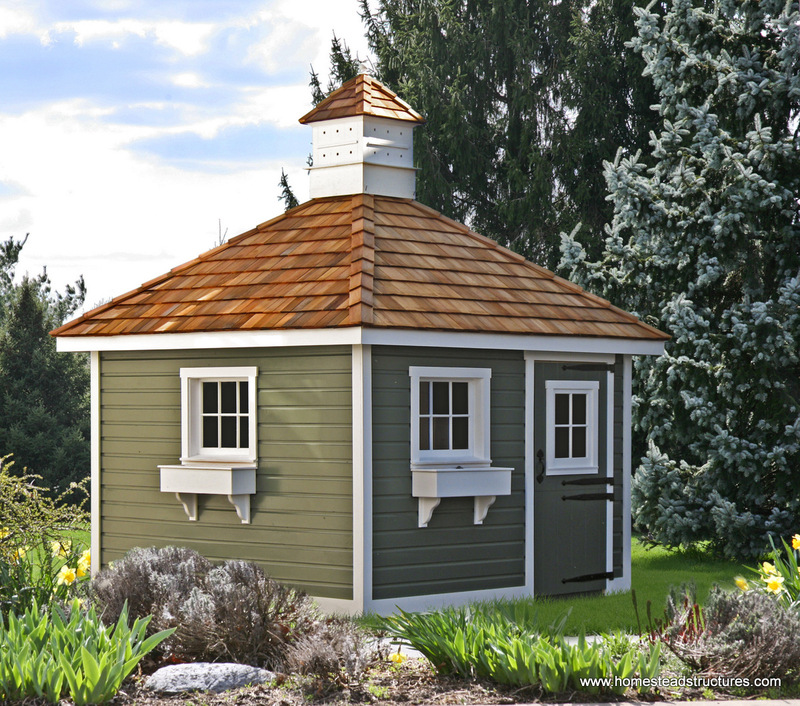 Our Garden Belles line of garden sheds offer practical options and stunning beauty in one unique package! 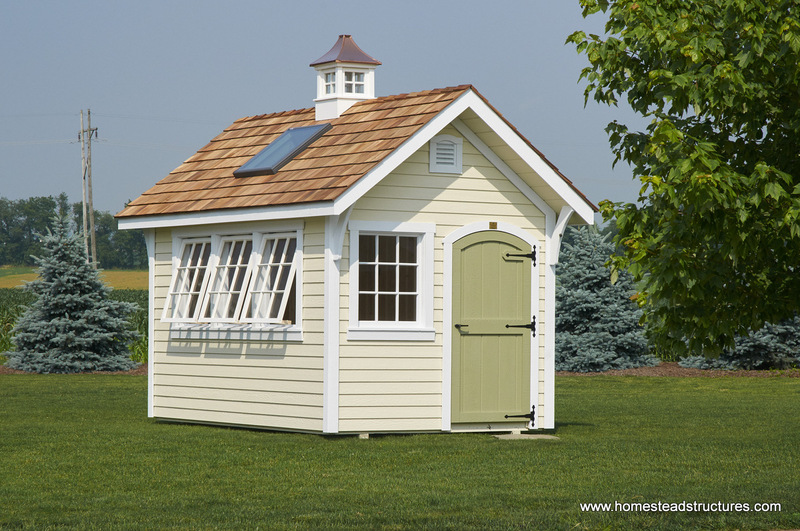 No matter what you decide, Homestead Structures can help you build the best garden shed for your needs and budget. 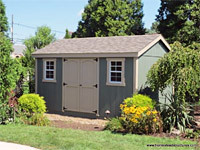 Contact us today to get started on your new garden shed!